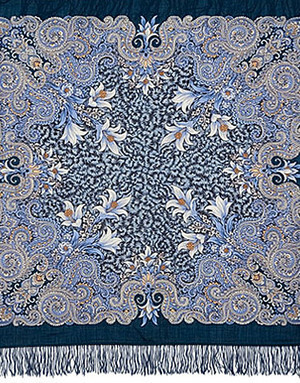 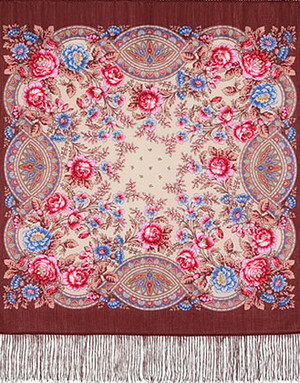 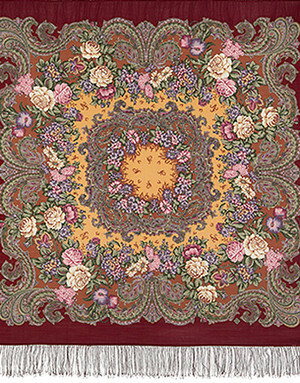 This Russian shawl is made of two-thread yarn and noted for special softness and gentleness. Skillful Russian craftsmen from Pavlovsky Posad have managed to create an amazing design out of local colour, old traditions and modern style. 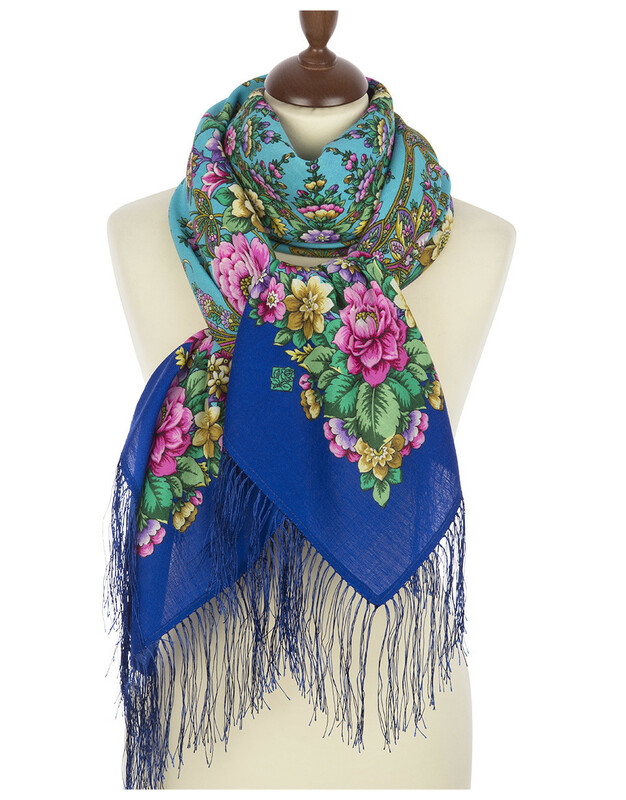 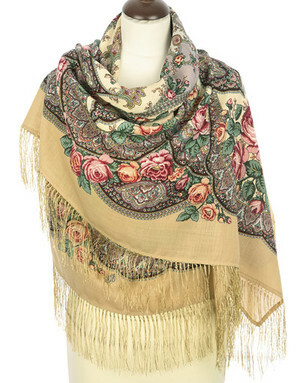 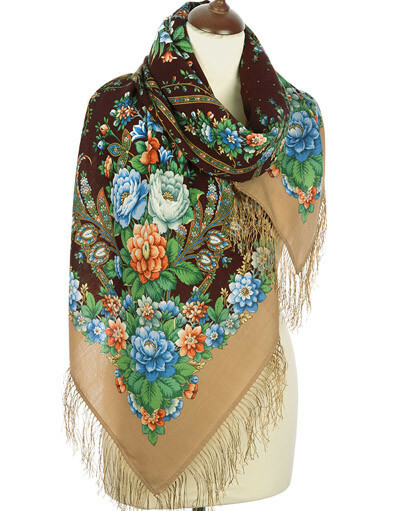 This Russian scarf will add a perfect touch of elegance to your look and keep you warm in cold days. 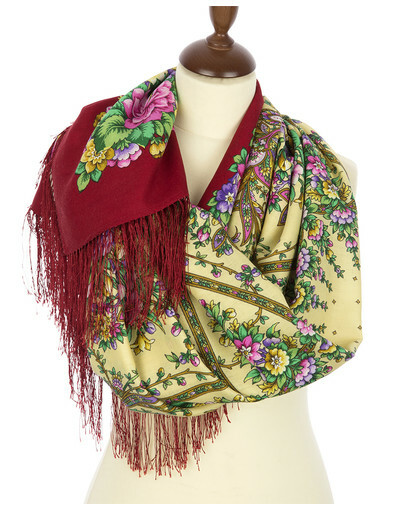 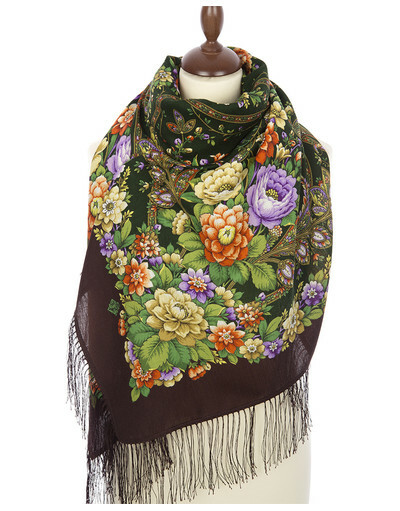 Perfect size is to wear the Pavlovo Posad shawl over the shoulders, on the head or around the waist.